The Royals have been on a very similar path with the Tigers the first month of the season, starting out very hot and now cooling off slightly. KC will have a slight advantage in the series with the struggles of Price and Sanchez, along with playing at home where they have a 7-2 record and have tallied a +38 run differential over all, which is the best in the Majors. The offense is right up there if not better than Detroit’s as KC ranks 4th in runs scored (111), 1st in team batting average (.302), 1st in On Base Percentage (.360), and 4th in Slugging Percentage (.446). The team pitching ranks very high as well in the Major’s as they may not have the starting staff Detroit does, however the bullpen makes up for that starters. KC ranks 4th in team ERA (3.20), 28th in quality starts (7), 3rd in WHIP (1.11), and 3rd in batting average against at .222. The Tigers are coming off their 6th series win in 7 tries with a very nice come from behind victory yesterday against Minnesota. 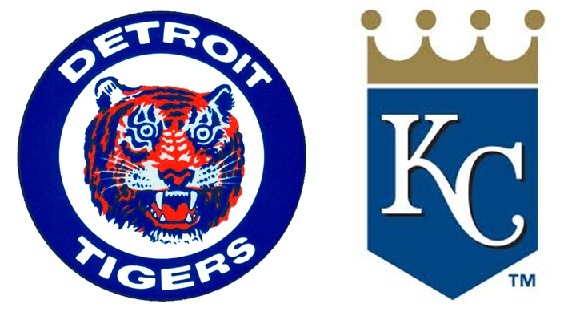 The Tigers are just 5-5 in their last 10; however a nice 7-2 road record has them set up nicely against KC. The teams +17 run differential is mostly due top of the league offense where the team ranks 6th in runs scored (107), 2nd in team batting average (.288), 2nd in On Base Percentage (.355), and 3rd in Slugging Percentage (.450). Team pitching has fallen off as of late with the staff struggling as the team now ranks 13th in ERA (3.86), 12th in WHIP (1.21), and 15th in batting average against (.247), however remain strong in quality starts with 14, good for 2nd in the league. This series has the makings of an epic clash with both teams rating high on offense and before most recently, matching up well pitching as well. Also, remember that KC looked like and was for the most part a world beater last year, except the Tigers had their number just about every series down the stretch. I guarantee KC remembers that and will have that chip on their shoulder. An interesting factor will be the weather and the perception the that the Tigers play well in warmer weather. James McCann, C – McCann has had only 10 at bats in the last 7 days, but he has collected 5 hits in those AB’s, including his first career home run (an inside the park’er), a double and 3 RBI. More importantly, of his 5 outs, none were strike outs. Alfredo Simon, SP – Simon continues to amaze me as I hadn’t thought much of him coming in to the season. He once again proved me wrong as he beat Cleveland 4-1, with 6.2 innings of work, allowing just a run on 6 hits and 2 walks. Alcides Escobar, SS – Escobar was just a little better than Dyson, with 5 hits in 24 at bats (.208) with a couple doubles and 5 strike outs. Escobar took a pitch to the face last night, so keep an eye on him if plays this series. April 30, 2015 in Series Preview.